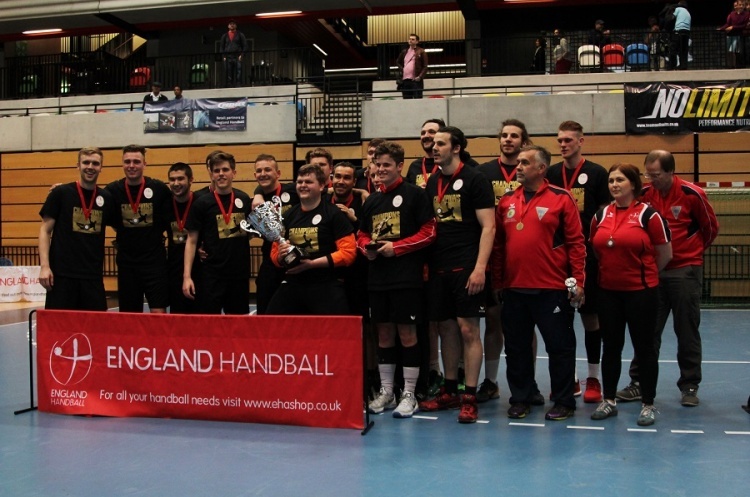 Current cup-holders Warrington Wolves will play Olympia in the second round of the England Handball Men’s National Cup on Saturday at Powerleague Trafford. Wolves are bidding to win the Cup for a fifth consecutive year. They have lost just once in Super-8 this term and top the table ahead of NEM Hawks on goal difference. However, in Olympia they meet a side in good form who’ve won their last two matches. Throw-off is at 17.30. Fellow Super-8 high-flyers Hawks host Championship South outfit Brighton at Oldham on Saturday. Brighton top the Championship South, and have won seven-in-a-row since losing their opener against Islington. Hawks, meanwhile, have won their last three matches, and are unbeaten in four. Throw-off is at Oldham is at 15.00. Super-8 Cambridge also face Championship opposition, this time the North Division, when they meet Deva at Sporthouse on Saturday. Deva won a thriller in the first round, beating Islington of the Championship South 37-34 in extra time. Cambridge lost by just a single goal against Warrington in their last match, and drew against London GD before that. Throw-off is at 12.30. Championship North leaders Loughborough have a mouthwatering home tie against 2015 and 2016 cup finalists, and 2016 Super-8 Champions, London GD. Loughborough saw a four-match winning run come to an end last weekend when they lost to Deva. However, they’ll be looking to re-discover the form that has hoisted them to the top of the Championship North when they play the Capital side. GD have struggled this term and lie sixth in Super-8 with three wins, three defeats and a draw. Throw-off at Loughborough University on Saturday is at 15.00. Southampton University of the South-West Regional Development League will be hoping to pull off a shock when they host Coventry Sharks at Harewood on Saturday. Sharks are bottom of Super-8 after being promoted last season, and are still searching for their first league win. Throw-off is at 15.00. Carshalton Titans take on Manchester at St Mary’s on Sunday. Titans have struggled this term in the Championship South and have lost their last three matches, and six from eight in total. Manchester, on the other hand have won three out of their last four and lie second in the Championship North. Throw-off is at 14.00. Get down to a match near you and watch the most exciting, high scoring, action packed, contact, team sport that can be played anywhere by anyone. Support your team, follow the sport, share the excitement, be a fan.